Today, a couple of trades happened in the National League. One trade included the Mets and Braves. The other deal included the Marlins and Cardinals. 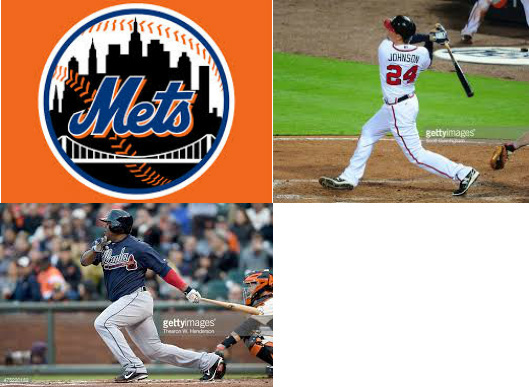 Lets first talk about the Braves and Mets trade. According to Joel Sherman, the Braves sends pitching prospects John Gant and Rob Whalen to the Mets for veterans Juan Uribe and Kelly Johnson. Braves got the best part of the deal in future terms because they got younger and need younger pitching, but right now the Mets get the better end of the deal because of the players they got can step in right now. Uribe and Johnson can most likely split time at 3rd and Johnson can give Murphy a day off at second base or play a corner outfield spot. Uribe adds more pop to the line up with Wright still out of action with a back injury. Uribe and Johnson have hit a total of 17 home runs and 57 RBIs combined, per Baseball-Reference.com. The Braves new 2 pitching prospects have lots of potential and are both having good years in the minors. Cardinals improve their roster for a hopeful deep playoff run. The Red Birds acquired Steve Cishek from the Marlins for Double-A stud Kyle Barraclough, according to Clark Spencer of the Miami Harold. Cishek joins a good bullpen who needed to add a veteran reliever who has had past success closing out ball games and will most likely be used in the 7th inning. Cishek has bounced back from a dreadful start and his name in the past of-season was rumored to be moved and now that day has come. Say goodbye to South Beach and welcome to the Midwest. Cishek also could give Rosenthal a day off since they are so far up in the National League. Cishek has pitched himself back to a 4.50 ERA in 32 innings. Now, the Marlins got a 25 year old in Double-A, which he should be promoted to Triple-A soon or maybe be be added to the 40 man if something happens. Barraclough so far owns a 3.28 ERA in 24.2 innings while striking out 28 batters and only walking 20, Baseball-Reference.com. He needs to work on his control and start to get batters to miss. Previous Post Holtby Stays In The Nations Capital !